This easy photo editing software for Windows makes photo editing easier than ever. You want to edit a photo? You just want to do this at home on your PC? Then our photo editing software is just the right tool for you. 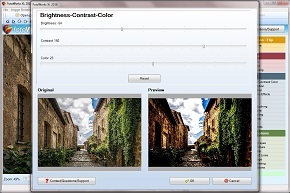 The Windows Photo Editing program makes photo editing reliable and easy. Looking for functions for hours or complicated instructions? That's not the case here. 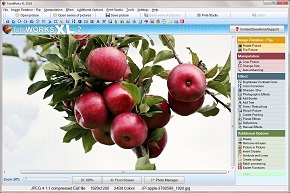 Fotoworks XL is the easy photo editing software that is clear and understandable for everyone. You can apply countless tools and effects in the photo application. Professionals in the photo studio work with retouching and effects. The same can now be done on your computer with your own photos. Become a photo designer - with Fotoworks for Windows. This photo editing software is with cool effects and filters. This is exactly what our photo tool for Windows describes best. Of course, you want to know which FX, masks and filters are included in the software for photos. 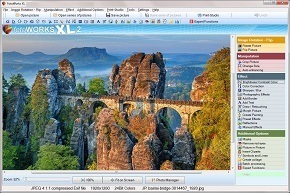 Prelude: Fotoworks gives you access to the most popular features of the most popular graphics tools. Download the easy photo editing software now for free! You can easily apply effects, masks, or font effects to your photo project. Turn your photos into an internet hit with photo frames, drop shadows and cool lighting effects. Maybe you've always gone to a photo studio for editing your snapshots. Or you have commissioned an expensive graphic designer. 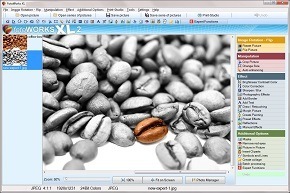 With the photo editor you can easily do it yourself now. So you do not need to spend so much money on your photos. Easy photo editing software does not have to be expensive. Good photo editing software does not need expensive advertising campaigns either. You can benefit from this immediately! That's why Fotoworks is already one of the most popular photo editor tools worldwide. Your advantage: Use all the tools that are included in expensive design suites now for little money. Edit photos made easy. With the good photo editing software. Editing photos is often perceived as tedious and complicated. There are several reasons for this: For one, graphic and photo programs are often very complicated. On the other hand, some users simply lack previous knowledge. A photo editor has often incorporated too many tools and you lose patience quickly. This is exactly where our good photo editing software comes in. 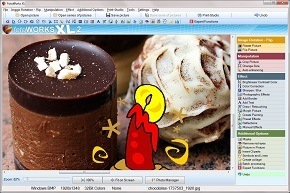 With just one click, you can get the program as photo editing software free download. 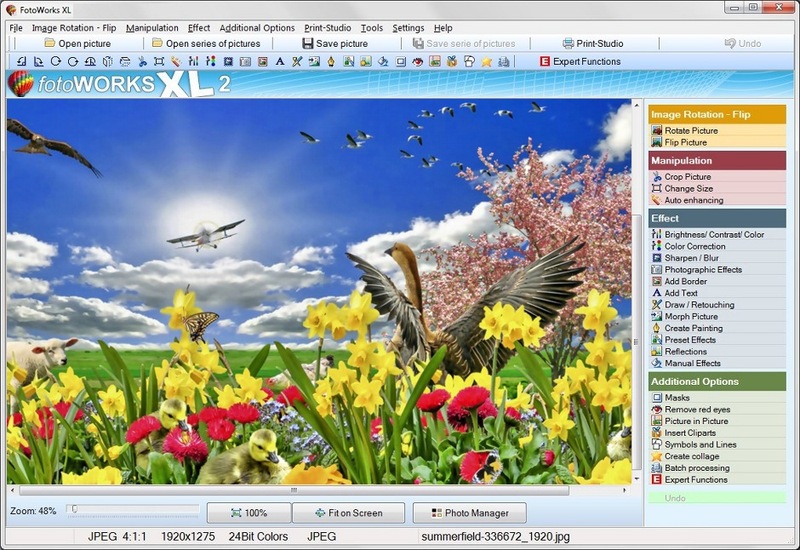 Fotoworks is the easy-to-use photo editor. The menus are very clear and even from complicated technical Chinese, we deliberately keep distance. Our photo editor is so simple that even children can use it. Almost playfully, you get to know all the functions and become better at editing photos. After a short time you can achieve outstanding results with Fotoworks. You want to edit your holiday pictures. You need a good photo editing software for this? Then take a closer look at Fotoworks. 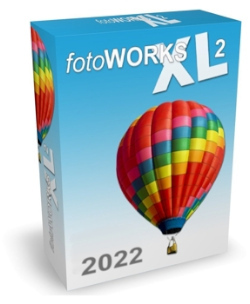 Fotoworks is the photo editing software free download for editing photos. Within a few minutes this is installed on your Windows PC. 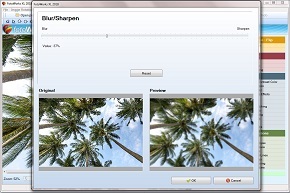 Immediately after installation, you can start editing your pictures. You will be amazed at what you can do with this software. 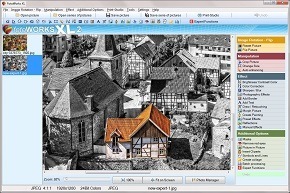 Download the software for editing photos right here! Some of the most popular photo editing features includes cropping, rotating photos, and applying effects to a photo. All good photo funtions and effects can be found in our easy photo editor for Windows 10, 7 and 8. Imagine, you have taken great photos and want to edit your photos now. 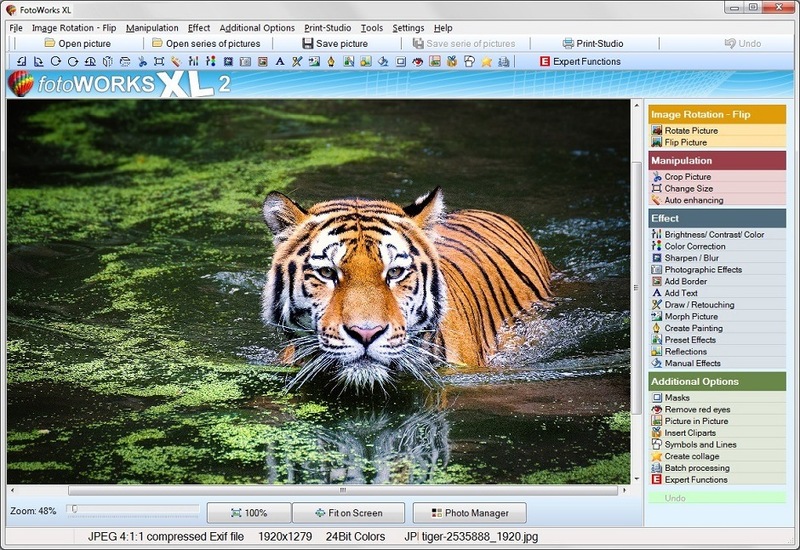 With Fotoworks, the Windows software to edit photo works in no time. What can I do with the photo editing tool? For example, you can use the photo editor to crop your photo, make photo collage, photo montage and enhance your pictures. You can also add effects to your photos. Or you can choose a fancy photo frame to put around your picture. 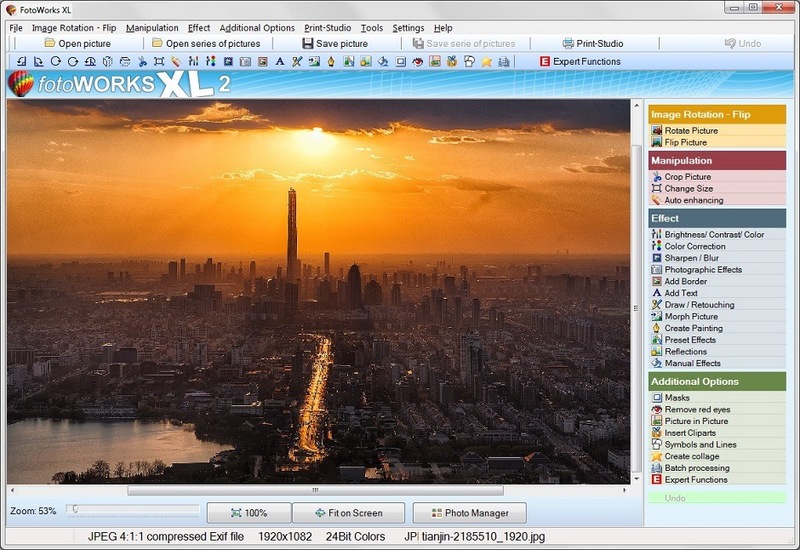 With Fotoworks XL it's just a click away. Apply effects to your photos, such as drop shadows, font effects, and text effects. Also, you can easily edit photos with the tool or create a photo collage. Whatever you do Photo editing - With Fotoworks you have the right tool at hand. To edit photos you need a top photo editing software. With the photo editing software, you can easily edit your photos. You can now easily implement this on your PC. Where you once needed expensive programs, this top photos editing software is now also cheap and fast. Because Fotoworks has everything you need for photo editing already integrated. For example, layer effects, drop shadows or light reflections. Even removing red eyes or turning photos works with just a mouse click. You were on vacation and took nice pictures? You want to edit these photos on the PC now? Then do it now with the top photo editing software. 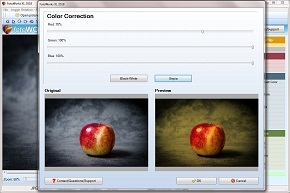 For example, you can retouch photos or retouch only parts of a shot. Even improving photos is now done in just a few steps. You need help editing photos? No more manuals to read and no expensive support numbers anymore! Because Fotoworks XL offers you useful tutorial videos in which you can learn the photo editing step by step. And if you need support, we are always available for you by e-mail. 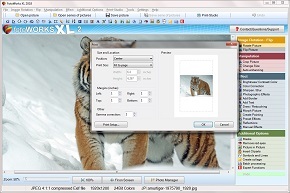 With the photo editor you can easily edit photos on Windows. Create your own photo collage in just a few steps. Or you create pictures for Facebook or Twitter. You can easily crop and edit Instagram photos and pictures with Fotoworks. Try it now and download the top photo editing software now. 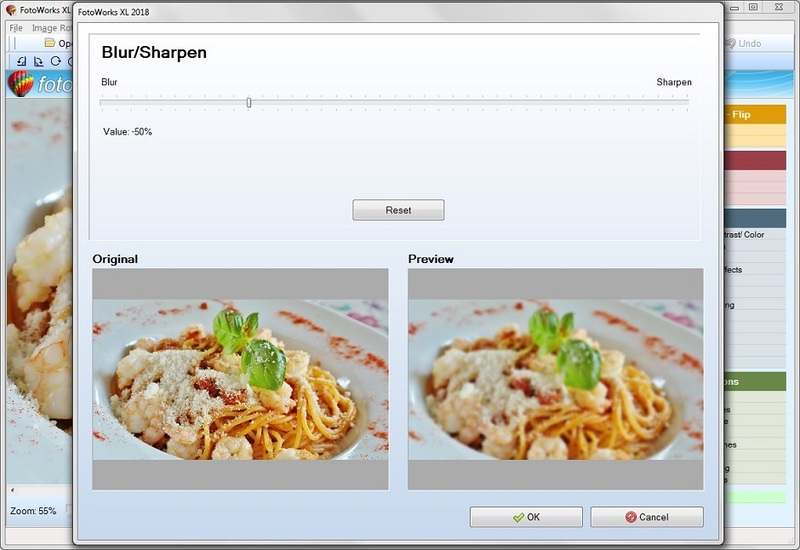 Now enhance your photos digitally on your PC. For example, you can retouch red-eye or add objects to photos. Play with the software and discover your creativity. Within just a few minutes you can, with a little practice, get outstanding photos. Straighten documents, scans, books etc.